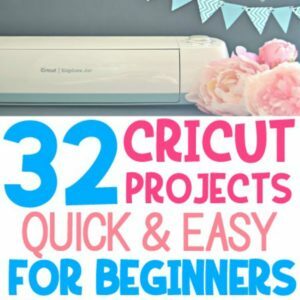 These 15 Cricut Project Ideas Using Scraps are easy Cricut projects that a Cricut beginner can make! 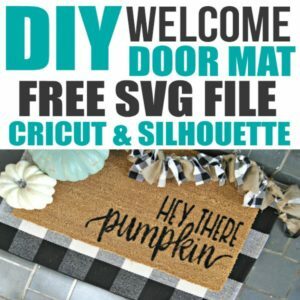 If you have scrap Cricut craft materials and are looking for Cricut projects using Cricut Design Space and a Cricut Explore machine, this post is for you! 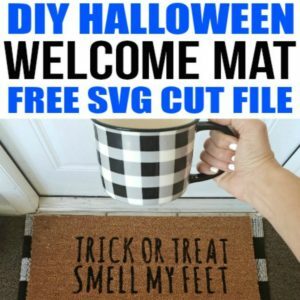 This post is filled with Cricut project ideas inspiration and fun Cricut projects using vinyl, heat transfer (HTV), cardstock, and more! 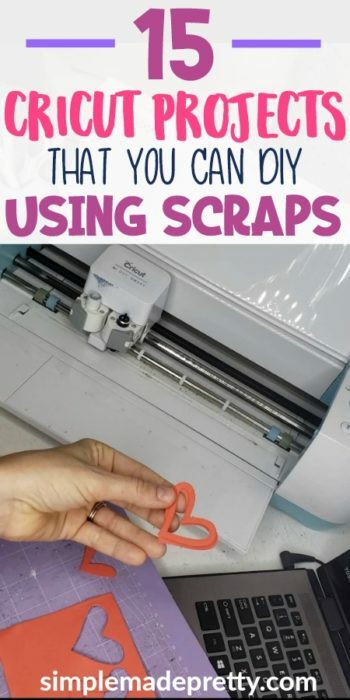 Don’t throw away those small pieces of leftover vinyl, iron-on, or cardstock! 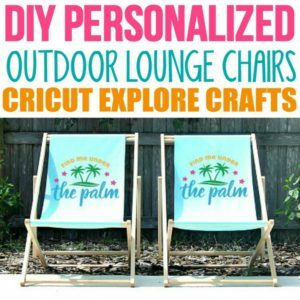 Save your Cricut scraps to make these fun Cricut Projects Using Scrap materials! 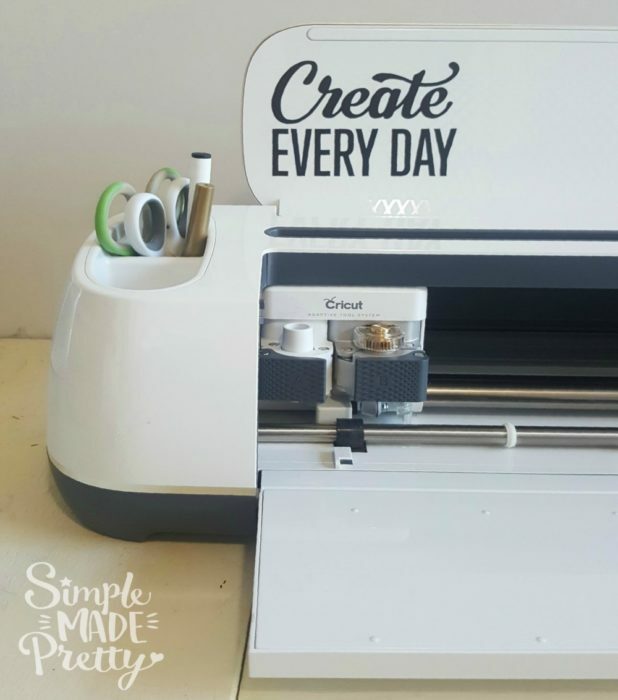 Keep reading to find 15 Easy Cricut project ideas to use up those extra bits of Cricut vinyl, Cricut iron-on, and Cricut cardstock. 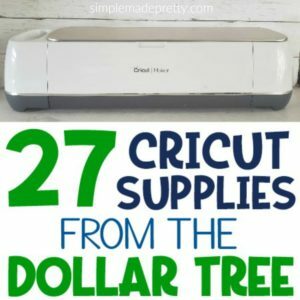 If you are new to Cricut, let me start by sharing some of my favorite materials & tools to use with my Cricut machine! 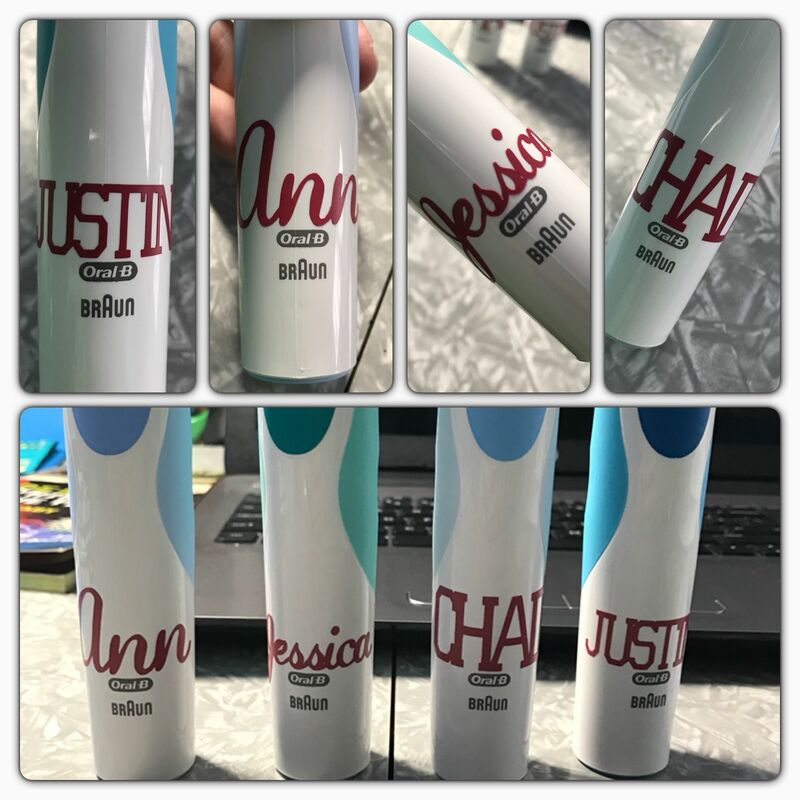 Label family toothbrushes with everyone’s names using scrap vinyl as this pinner did. 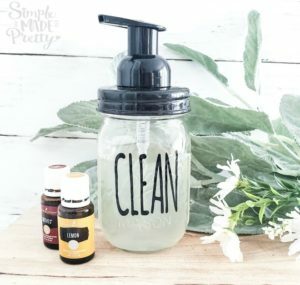 Simple Made Pretty made this cute soap bottle decal in 5 minutes using leftover black permanent vinyl! 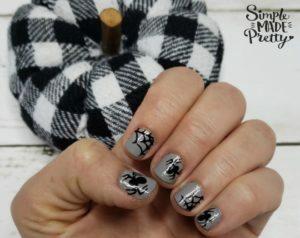 Take your holiday nails to the next level by adding some Cricut cut sticker vinyl like Simple Made Pretty did in this post. 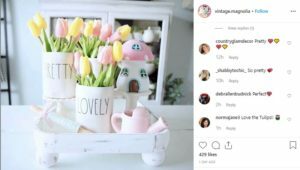 These mini rolling pins have been popping up all over Instagram and they are the cutest to decorate with scrap vinyl as Vintage Magnolia did here. 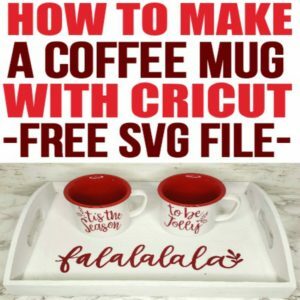 If you love mugs as much as the Instagram world, you will love being able to make your own decals for your mugs using Cricut Scrap Vinyl like Simple Made Pretty did. 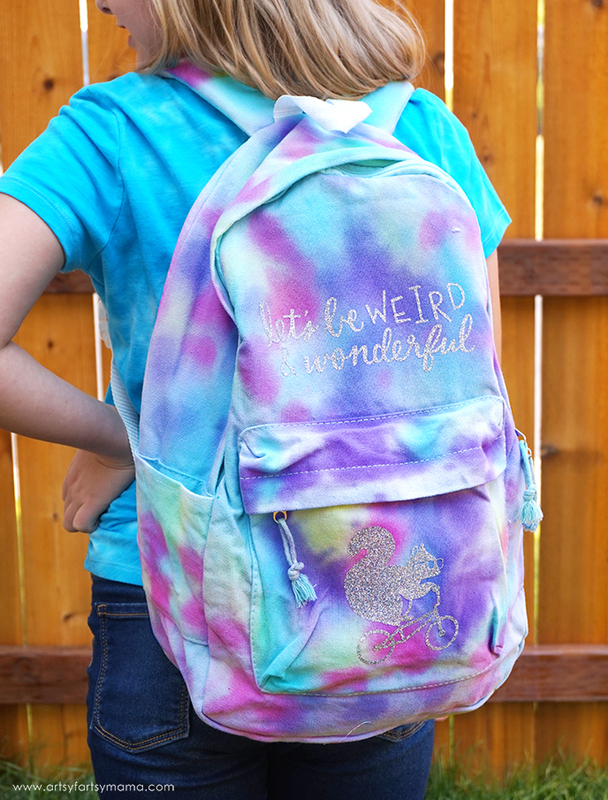 Check out this cute Unicron DIY backpack using Cricut iron-on scraps from Artsy Fartsy Mama. 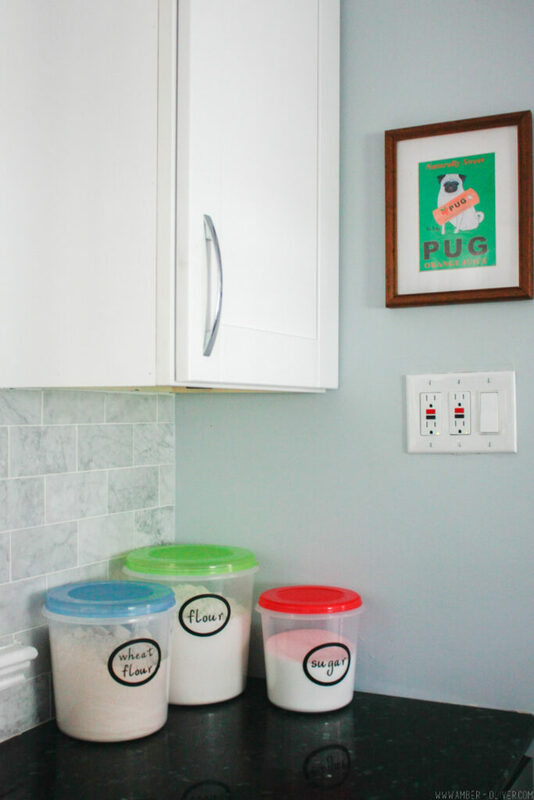 See how Amber Oliver organized her entire kitchen by using scrap vinyl to make DIY kitchen labels! 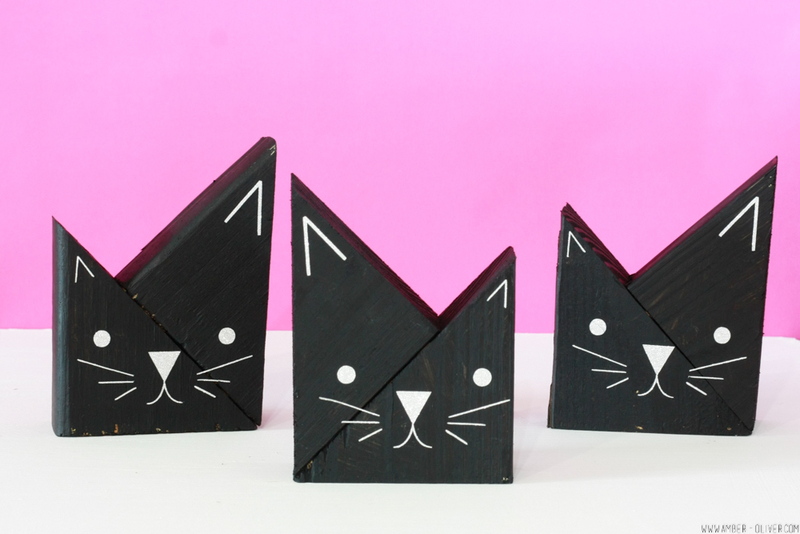 I love how Amber & Oliver used scraps to make these adorable cat blocks decorations. 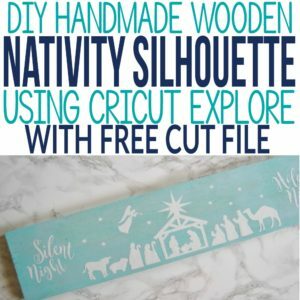 I can think of a few cat lovers that would love to have these Cricut made decorations in their home and all it takes is some scrap wood and scrap vinyl! 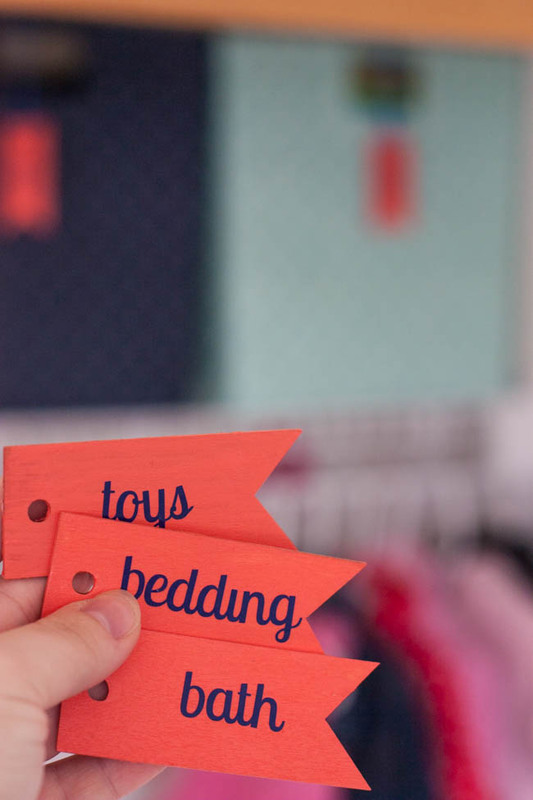 See how Small Stuff Counts used scrap vinyl to make her own labels and get the house organized! 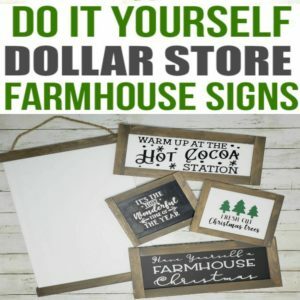 She used wooden tags, painted, and attached scrap vinyl to the tags. She hung the tags from baskets in her home for easy organizating! 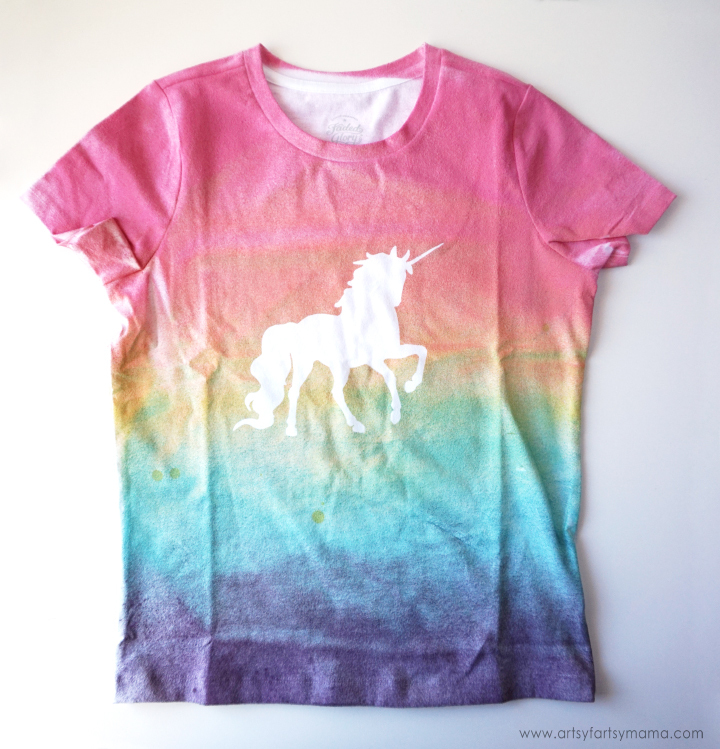 Check out how Artsy Fartsy Mama used Iron-on scraps to make this adorable unicorn t-shirt. 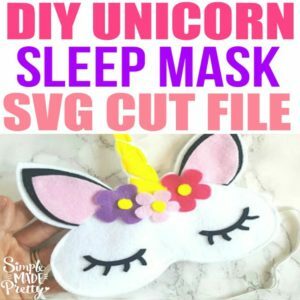 I love the tye dye colors she used before applying the Cricut cut unicorn decal using scrap iron-on materials. 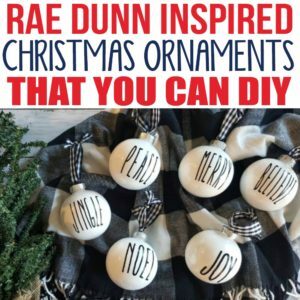 Diary of a Debutante made these beautiful monogrammed glitter ornaments for Christmas. 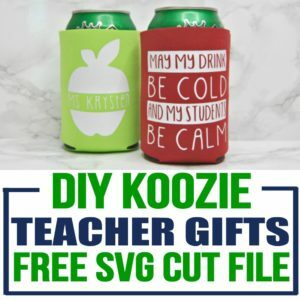 These would make a cute gift for a newlywed couple with their initials! 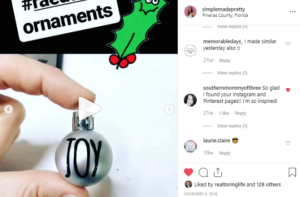 Speaking of ornaments, Simple Made Pretty found some mini ornaments at the Dollar Tree during Christmas and used scrap vinyl to add decals to them! 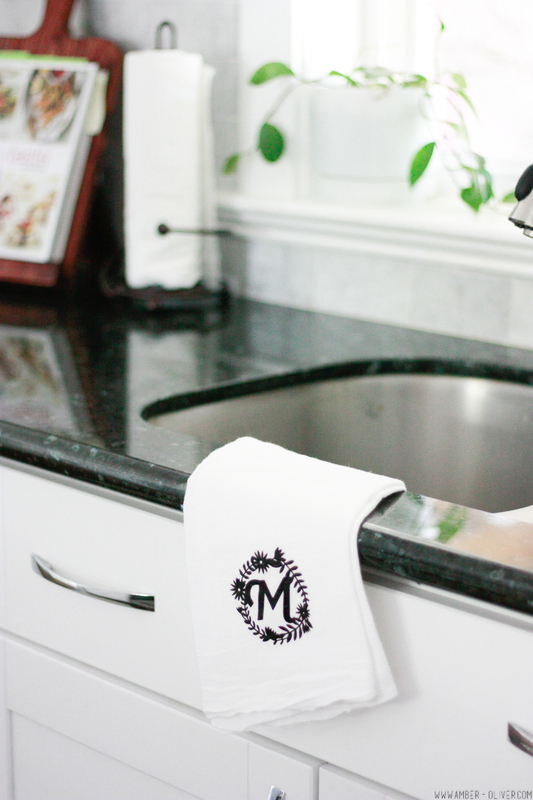 Amber Oliver used scrap HTV to make these adorable monogrammed tea towels. 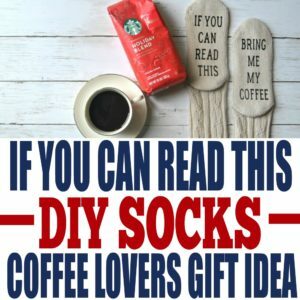 These DIY tea towels would make a cute gift or classy decor in your own home! 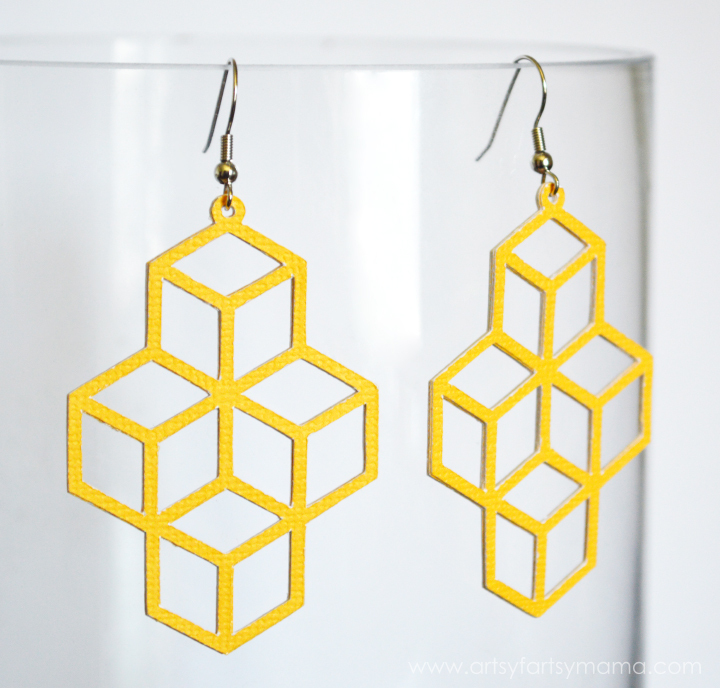 I love how Artsy Fartsy Mamma used scrap cardstock to make these beautiful geometric earrings! 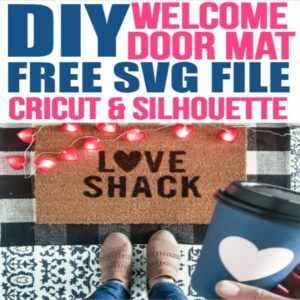 When you can use your Cricut machine to make wearable items, you’ve become the ultimate Cricut crafter! 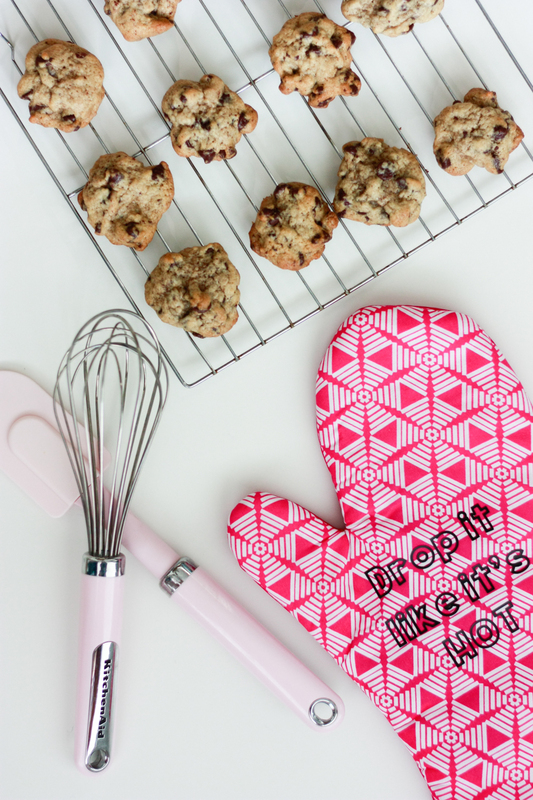 These personalized oven mitts that Amber Oliver made using scrap iron-on are too cute! 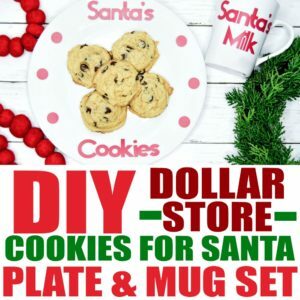 Think of the possibilities to personalize oven mitts and pot holders to give as a housewarming gift, hostess gift, or use for yourself! 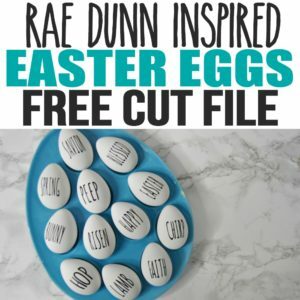 I hope you enjoyed learning some Cricut Explore project ideas using Cricut vinyl and scraps. 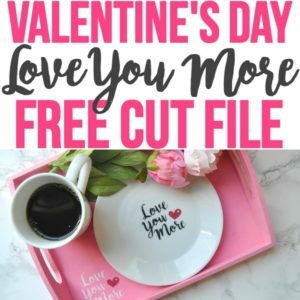 This post has some great Cricut gift ideas using vinyl and all of these Cricut crafts are free and fun Cricut Project ideas.